"There is a place of balance,a place of peace and happiness in all things." 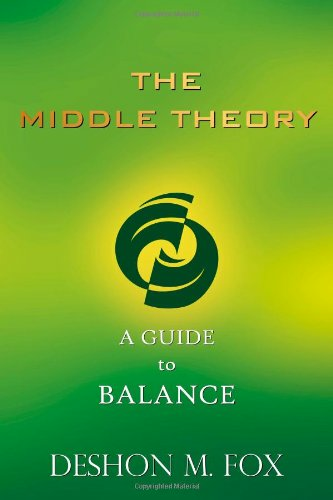 In The Middle Theory, an inspired book refined during nine eventful years, Deshon Fox reveals a powerful new philosophy based on the simple, but profound idea that balance is the guiding principle of all that supports life and progress. This philosophy, as rational as it is spiritual, affirms our common spiritual heritage, maps a straight path to enlightenment, and outlines practical approaches for fostering stable, meaningful relationships.Fox's lucid writing, his penetrating insights into the nature of balance as a corrective agent in our lives, is both timely and inspiring. Optimistically, he asserts that we can transform ourselves and our world through mindfulness, prayer, and adherence to universal spiritual principles. The Middle Theory's unique philosophy- reasoned and refreshingly sensible-empowers us to consistently choose the noble path that benefits us and others. The net result is not only personal happiness, but a life that contributes to the betterment of humanity. "The Middle Theory is one of the most extraordinary and most important books I've read in a long time. Basically a journey to discover the balance that we desperately crave in our personal lives as well as the balance that we desperately need on a global scale, this book deserves to be read over and over to fully appreciate the wisdom it holds. . . .I will not forget this book anytime soon. Humankind cannot ignore its invaluable message any longer." "Inner balance can be yours! 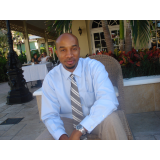 Written from the heart of a trained engineer, The Middle Theory invites you to tackle change, fear, and grief by using your own gifts of discernment, compassion and self-love."